Mon - Fri from 9am - 5pm. 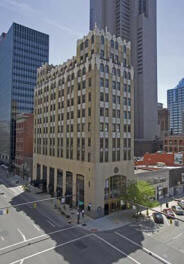 Law Offices of Thomas Tootle is located in downtown Columbus on the 9th floor of the Law & Finance Building at the intersection of East Gay Street and Third Streets. Mitchell's Steakhouse is located on the first floor. This is approximately one block northeast from the intersection of Broad and High Streets. Convenient metered parking is located directly in front of the building on East Gay Street.